The vegetarians at your table will undoubtedly love it if your dinner features something they can eat, especially a dish that recalls the traditional poultry they’ve given up. Non-vegetarians can enjoy knowing that vegetarian dinners, even those that aren’t 100 percent organic, take less of an environmental toll than meat-centric suppers. 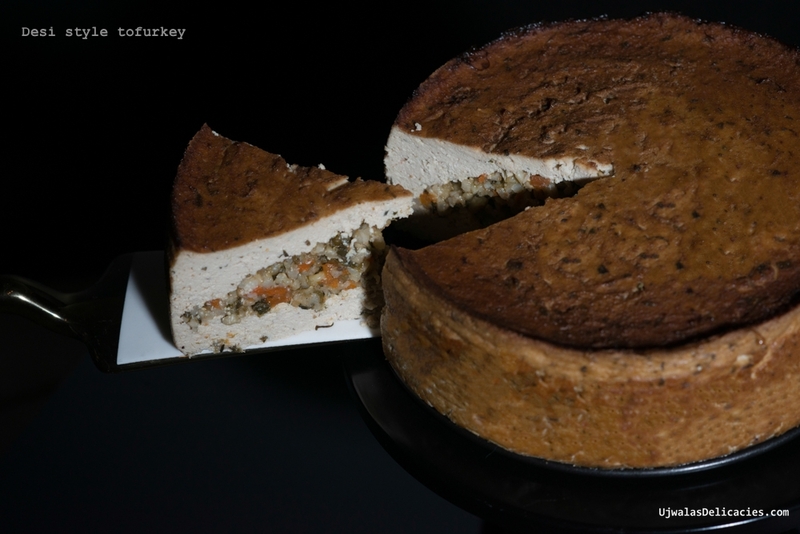 Tofurkey is definitely the best-known brand of veggie-based turkey alternatives; it’s handcrafted from tofu to look somewhat turkey like, and even stuffed with a vegetarian stuffing. But it’s far from the only option. Downside of buying store-bought Tofurkey is there aren’t many certified-organic meat alternatives out there. Use your own certified-organic tofu and ingredients when you make at home. Try something different with Thanksgiving dinner this year, make it meatless. It’s like a Thanksgiving present for the planet. A study of the veggie-loving Adventist community in California found that even non-organic vegetarian diets used 2.9 times less water, 2.5 times less energy, and 13 times less fertilizer than meat-centric eating. Go organic and the benefits get even bigger. Your body will thank you, too, if you swap out the meat for a Tofurkey. I found homemade tofurkey recipe at chowhound.com. Chowhound is my favorite recipe site. When I decided to give it a try, my Indian taste buds kicked in. I always change recipes to fit my Indian taste buds. 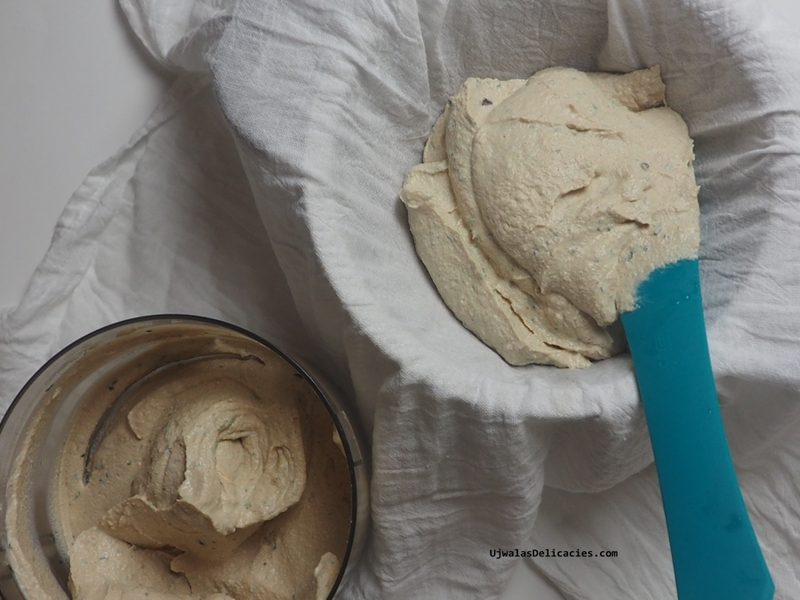 This recipe is my desi version of Tofurkey. A Portland, Oregon man has millions of reasons to be thankful today and its all thanks to his creation 20 years ago, Tofurkey. Seth Tibbott is a millionaire many times over because of the faux turkey made of tofu. Tibbott was among the few vegetarians in the US in the 1970’s, but those vegetarian side dishes and salads just weren’t as appealing as a real turkey, the traditional thanksgiving centerpiece. Tibbott started experimenting with more appetizing ways serve soy. He created pumpkins stuffed with soy and even gluten roasts, but no one seemed to bite. Then Tibbott, a professional soy crafter, came up with Tofurkey roasts in 1995. Place an ultra fine cheese cloth in colander. Place colander on a plate, so that drained water can stay inside a large bowl and line it with two layers of ultra fine cheesecloth; set aside. 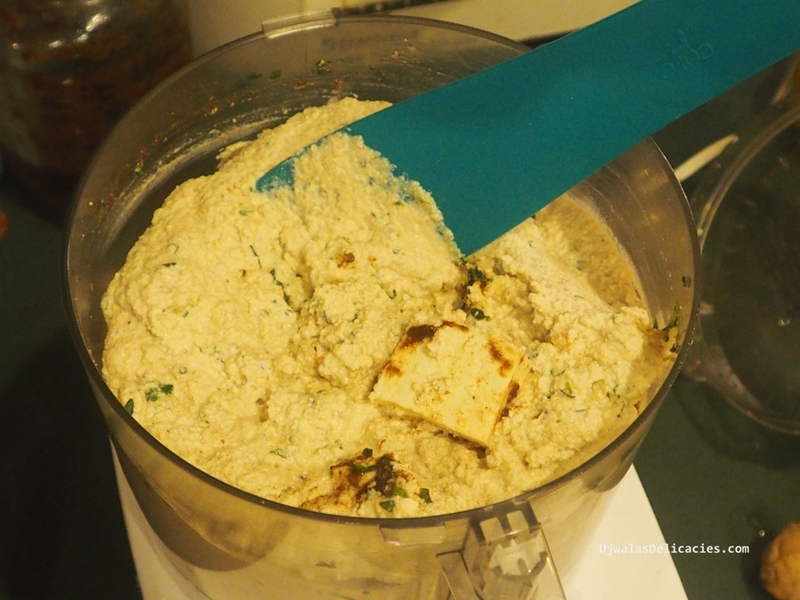 Place tofu and remaining ingredients in a food processor. Add remaining tofurkey ingredients and blend till mixture is smooth. 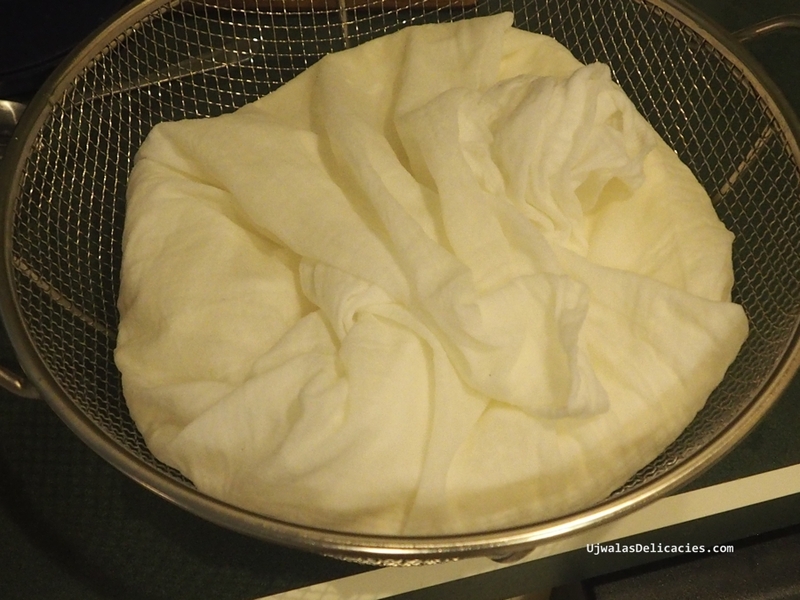 Transfer to the colander, smooth the top, and fold the cheesecloth over to completely cover the tofu mixture. 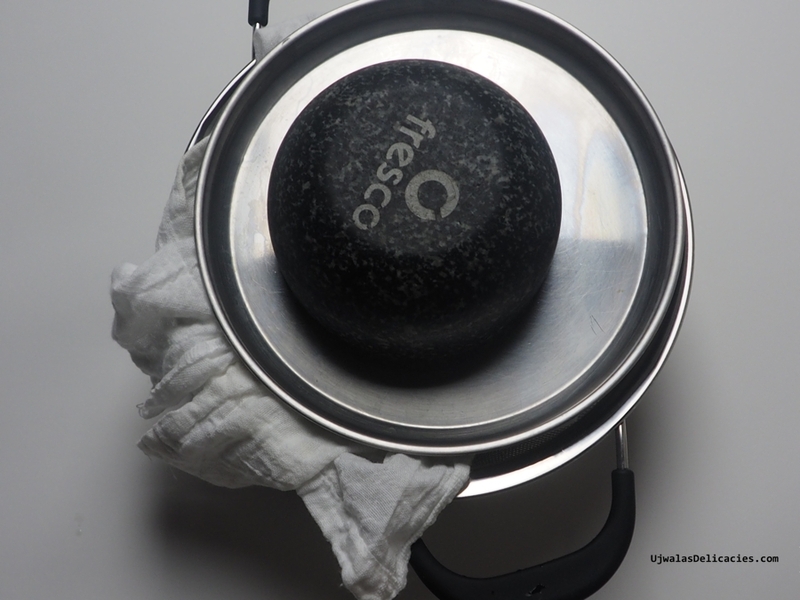 Place a plate on top of the cheesecloth and place a few heavy items to drain water. Refrigerate for 12 hours. Take tofu from colander. 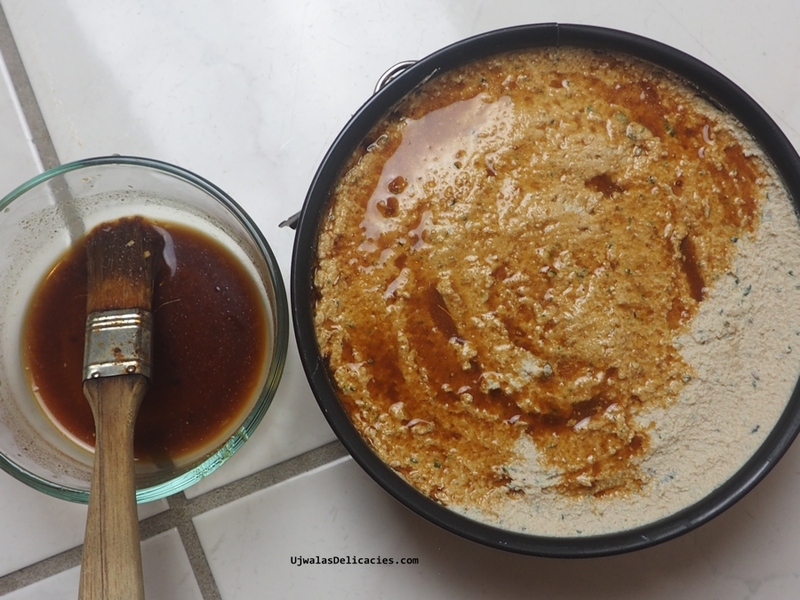 Using spatula, spread tofu mixture to the baking pan into an even layer. Arrange the stuffing over the tofu. Leave 1/2-inch space. Spread the remaining tofu in an even layer over the stuffing, completely covering it, and smooth it to the edge of the pan. Spread glaze with brush. To make this dish vegan, replace butter/ghee with oil, preferably coconut oil. Night before: Drain, blend tofu with spices and keep it pressed. The glaze and stuffing can be made the day before. Place an ultra fine cheese cloth in colander. Place colander on a plate to capture drained water. 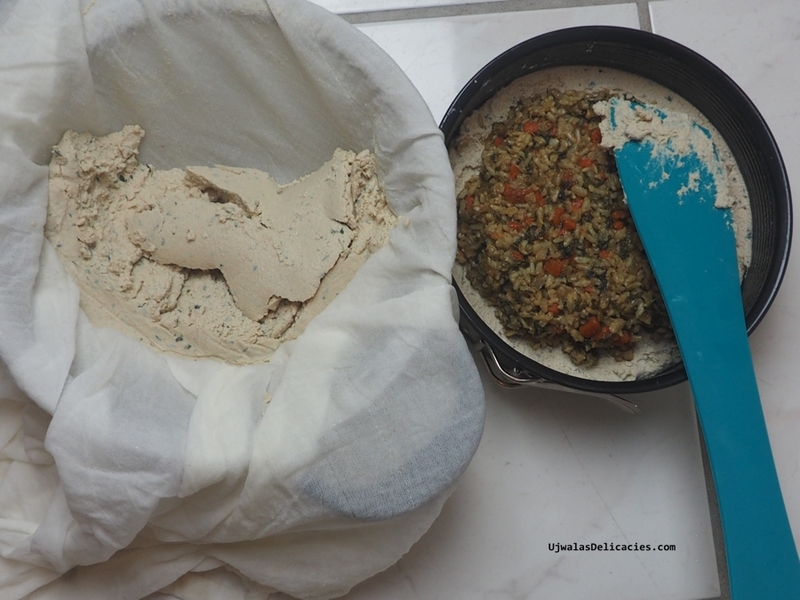 Place tofu and remaining ingredients in a food processor. Add remaining tofurkey ingredients and blend till mixture is smooth for 2 minutes. Whisk together all ingredients until well mixed. Sift besan. Add ½ cup of water, whisk well. Make sure of no lumps. Blend onion, and cashews with little water to paste. Add oil/ghee to a saucepan and heat at medium. Add blended mixture, water and salt. Close lid, cook for 20 minutes stirring occasionally. Add besan batter, pepper, cumin powder and water. Stir and cook for another 5 minutes. Besan thickens the sauce. Add water if needed to keep it gravy consistency. Keep aside to cool down. Heat ghee in a medium saucepan. Add onion, celery, thyme, carrot, beet leaves. Stir and cook for 2 minutes. Add salt and pepper. Stir occasionally, cook until veggies are soft. Add brown rice and stir. Add water and bring to a boil. Reduce heat to low, cover, and simmer until rice is tender, about 45 minutes. If any water is left, keep cooking till all water evaporates. Heat the oven to 375°F. Spray baking pan with oil or pam spray and place a baking sheet. Arrange the stuffing over the tofu. Leave ½-inch space. Spread the remaining tofu in an even layer over the stuffing, completely covering it, and smooth it to the edge of the pan. Spread glaze with brush. Bake in the oven until the top is dark golden brown, about 60 - 75 minutes. Add more glaze if you like. Cut into slices and serve. Optionally serve with gravy.